Green, white and orange seats encircle the parched playing field. Chalk lines, dusty and faded, sketch out the centre circle and penalty areas. At either end, goalposts with loosely tightened nets sway gently in the wind. The arena’s painted seats – green and white of Nigerian flag with the local province’s preferred orange – provide a collage effect, one that stirs the momentary illusion of the possibility of change. If able to stitch colours together, perhaps a football stadium can likewise stitch and heal the political divisions of a nation. The scene is the Godswill Akpabio Stadium, in Uyo, Akwa Ibom state, southern Nigeria. The date is 7 October 2017. Tonight, Nigeria play Zambia in a World Cup qualifier, with victory enough to send the Super Eagles to Russia. A shade over 39 million Nigerian households own televisions, yet 37 million tune in to watch the match. Anxieties mount after a goalless first-half, but then comes the 74th minute. 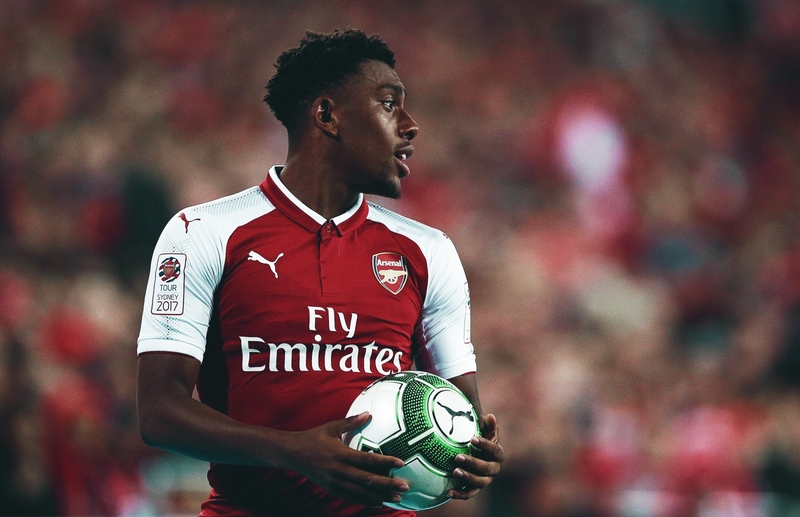 Alex Iwobi latches onto a Shehu Abdullahi cut-back and sweeps the ball into the back of the net. The final whistle blows – Nigeria win 1-0. As fans journey home through the 48 hectares of arid land surrounding the stadium, they are soon reacquainted with the staple crop of the region: fatalism. Burnt-out houses and blood-strewn grass serve as a testament to the 300 people killed by violence in this province over the preceding month. They are the victims of separatist movements such as the Niger Delta Avengers and Akwa Marine, both seeking to free Nigeria’s oil-producing south from the perceived oppression of its economically-impoverished north. This portrait of a ruined nation pollutes fans’ memories of the evening. Reports on the radio confirm forgotten rumours, ones that had spread like wildfire before the match but were discarded amidst the euphoria: police brutality has left six fans unconscious outside the stadium and another seven are alleged dead. The fans’ crime? Trying to enter a turnstile that was overcrowded due to poor stewarding. Sirens on the road ahead bring back scenes from the day before, when militants supporting Akwa Ibom’s Governor Udom Emmanuel attacked rival politicians. Suddenly, Godswill Akpabio is no longer solely a football stadium; it is also a political arena. There’s bulletproof glass erected in front of the VIP tribune seating Udom Emmanuel, with the secret service by his side, firearms in hand. For some, it is hard to stay with those brief moments of happiness. The trauma of everyday reality swiftly intrudes. Nigeria faces a national crisis in seemingly every direction it turns. In the north, Boko Haram has killed thousands and forcibly displaced two million from their homes. To the south, the Niger Delta Avengers roam the countryside, killing oil workers in protest against multinationals’ failure to redistribute wealth. In the country’s east, a Biafran separatist movement stirs again, provoking haunting flashbacks to a Nigerian Civil War in which one million lost their lives. Confronted with the fear that events might escalate out of control and reach a point of no return, Nigerians have instead diverted their attention to a more familiar item on the national agenda: corruption. For if corruption is an eternal plague on this nation, the sense of permanence it brings at least provides a source of comfort when faced with the prospect of imminent catastrophe. It is a centring point in which Nigerians can feel continuity with a more stable past. For the nation, that mosaic of green, white and orange seats encircling a parched playing field provides a comforting metaphor for what is wrong in Nigeria. A metaphor simple enough to capture the public imagination, divert its attention away from the murkier crises that await in the political shadowlands. The vocabulary of football corruption is also one Nigerians are fluent in, able to articulate their grief. Who could forget that until 2006 it was still legal in this country to bribe referees? Or that 26 members of Nigeria’s under-20 side were recently announced over age following bone marrow testing? The Godswill Akpabio Stadium is not simply a convenient metaphor for a national phenomenon, however, it also symbolises the local corruption endemic to its home state of Akwa Ibom. 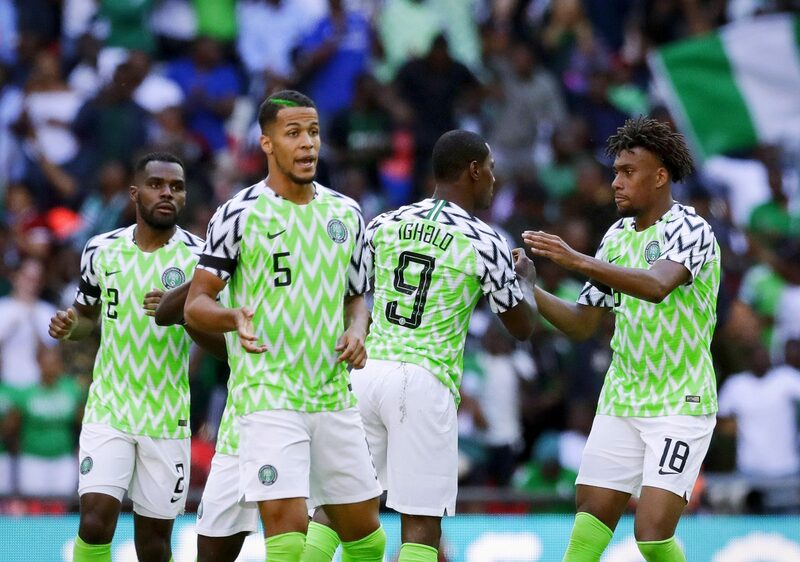 In a country officially recorded to be the most football-crazed in Africa- 87 percent of men and 79 percent of women watch the game – allowing a province to host a Super Eagles match is a political reward that confers legitimacy on the local administration. It is an opportunity that brings with it the investigative scrutiny of the national press. And in a political climate in which President Muhammadu Buhari has made his anti-corruption campaign the country’s principal focus, the slightest whiff of malpractice sends pens racing. For the nation’s media, the decision to move all Super Eagles games to Uyo has more than a whiff about it. First, there is the stadium itself. Almost $250m was spent by Udom Emmanuel in building it, yet where much of this money has ended up is unknown. While the local government paid for a multi-purpose stadium, the finished article is fit only for football. Nigeria’s Financial and Economic Crimes Commission (FECC) has issued a legal writ against Emmanuel and his predecessor. They stand accused of laundering $300m – a figure that includes diverted stadium funds. Governor Emmanuel’s reaction? He has renamed the newly-built stadium after the previous governor. The stadium consequently bears the name of a man widely accredited to have stolen over $100m from the budget for deprived children’s school lunches. Why Nigeria’s 22nd-largest city decided to build a football stadium equipped with a helipad, bulletproof boxes and an LED outer-shell modelled on the Allianz Arena is another question. The stadium’s capacity is 30,000 yet the local side Akwa United’s average attendance is less than 1,400. This is in a state with the highest rates of poverty, misogynistic violence, malnutrition, cholera, typhoid and lack of primary education in the country. Indeed, 61 percent of Akwa Ibom’s citizens live on less than $2 per day. Yet according to Nigeria’s Bureau of Statistics, only 12 percent of these believe that reducing poverty is the local government’s priority. This is unsurprising in a state where the local administration has persevered with outlandish investment projects despite their repeated failure. A ski resort, a 14-storey casino and a government-managed Starwood Hotels & Resort have all proved economically ruinous. In this light, spending $250m on a stadium appears politically unjustifiable. This is particularly the case when research by the Nigerian barrister Inibehe Effiong shows that this money would have been sufficient to establish 31 industries in each of Akwa Ibom’s 31 districts. The Nigerian press has a long history of searching out cartoonish villains. Former President Goodluck Jonathan was regularly depicted with wads of cash flying out of his pockets, while his Finance Minister was lampooned as Mr. $10.8bn. Why? Because he could not account for $10.8bn of “lost” oil receipts. In traumatic times, Governor Emmanuel has provided Nigerians with the comfort of that familiar corrupt anti-hero. Emmanuel’s dishing out of money to the Super Eagles does not help him or the image of the Nigerian Football Federation. Emmanuel pays each player $10,000 per goal the team scores in Uyo, a sum that rose to $50,000 for a recent match against Cameroon. With the squad allegedly encouraging its Federation to continue playing in Uyo because of this arrangement, the popular image of the Super Eagles as mercenaries lives on. 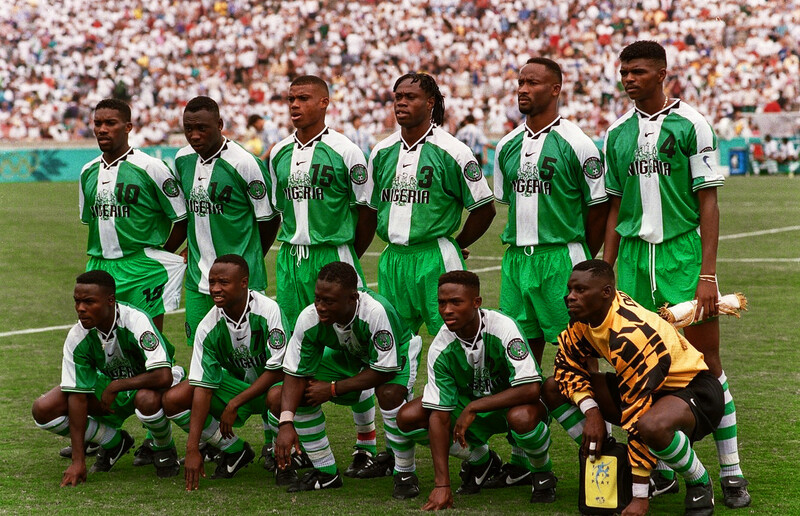 That the national squad went on strike claiming unpaid wages at both the 1998 and 2014 World Cups has not easily been forgotten. From Emmanuel’s spendthrift ways, it only takes a short leap of the imagination for Nigerians to conclude that he is also paying-off the Federation to remain in Uyo. There is no evidence of this, it must be stressed. Nevertheless, certain circumstances lead the imagination to wonder. Chief among these is the NFF’s perseverance with Uyo despite the team’s on the field performances there. The local conditions simply do not suit the Super Eagles. Before the Zambia game, the national side had only ever won once at the stadium. Thus was born a new piece of national folklore – the ‘Curse of Uyo’ – with the decision to build the Godswill Akpabio stadium on ancestral burial grounds supposedly having jinxed the team. A more concrete problem is the poor quality of Uyo’s playing surface. The Super Eagles’ German coach, Gernot Rohr, has spoken of his desire to equip his side with a unique brand of ‘Palm Wine’ football. 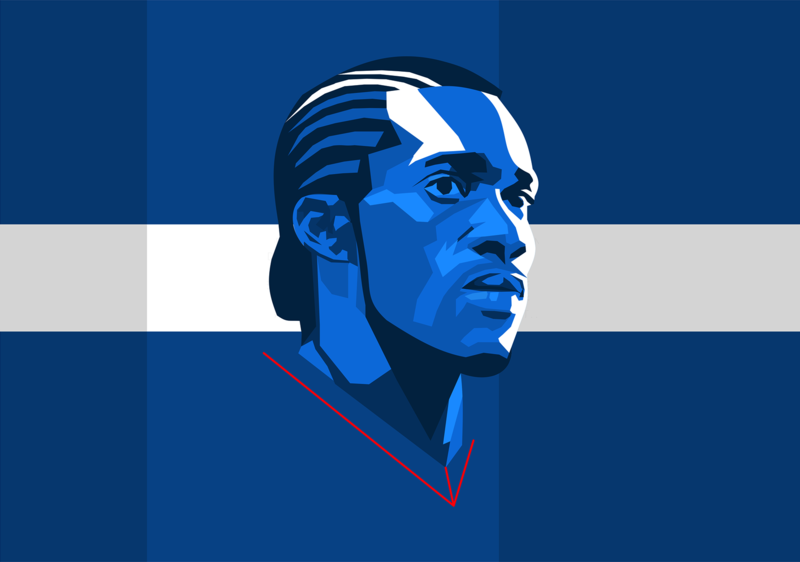 Named after the traditional Nigerian drink, the style is predicated on fast counter-attacking football and flying wingers. Yet, as the NFF’s Technical Director Chris Green has admitted, the Uyo pitch is simply too heavy and uneven to allow for this style of play. Starved of their pace, Nigeria have been ground down to defeat in wars of attrition against South Africa and Uganda in Uyo in recent years. The persistence of the NFF with Uyo, therefore, continues to puzzle the nation. Lacking evidence of malpractice, the common reaction is to retreat to the traditional narrative of NFF as corrupt scoundrels. The NFF’s President Amaju Pinnick has been pilloried in the national press for his decision to spend precious funds on lavish new headquarters for the organisation. That Nigeria’s Supreme Court has also called into question the legitimacy of his election victory in 2014 has not escaped the national attention. There has been one noticeable blind spot in the media’s coverage of Akwa Ibom, however. Symptomatic of a nation seeking refuge in familiar tales of scandal, dots have been left unconnected, political storm clouds overlooked. The state may provide a microcosm of the political corruption that scourges a nation, but it also reflects back at Nigerians the national emergencies tearing their country apart at its seams. Political cartoonists may depict Emmanuel with suitcases of cash but remarkably few dailies report that Emmanuel is accused of ordering violence in state elections last December. You have to look beyond the national press, to the reports of NGOs and UN agencies, to find that Emmanuel’s Special Assistant, Ime Uwah, was arrested by federal police recently. Why? His caravan was found stuffed with live ammunition and uniforms of local militias. In each of Akwa Ibom’s 31 districts, youth militias connected with Emmanuel’s Peoples Democratic Party used violence to rig voting. Whilst newspapers rally behind the Curse of Uyo, Emmanuel rallies behind the inflammatory rhetoric of the Niger Delta Avengers and the Akwa Marine. He has called the president an “old man who is after Akwa Ibom’s oil”, attempted to bulldoze the federal government’s offices in Uyo, and sparked national uproar in alleging that the president’s cows are better fed than Nigerians. All this is an abuse of power in a Niger Delta region where 1,147 people were killed in 2017 alone by cult violence. National teams are often tasked with the mission of allowing their countries a moment of fantasy amidst political turmoil. Yugoslavia in 1998, Algeria in 2010 and Greece in 2014 are all examples. Nigeria is no different in this respect. If the Super Eagles advance out of a World Cup group featuring Argentina and Croatia, they will be welcomed home by a reception reminiscent of that which greeted their 2013 Africa Cup of Nations victory. But you also suspect that Nigerians would not be averse to the chips falling the other way. Wage strikes, missed training sessions, stories of stuffed envelopes and swindled millions. Each would provide a comforting sense of a familiar, more stable past. Each would distract from the political wolves gathering at the door.